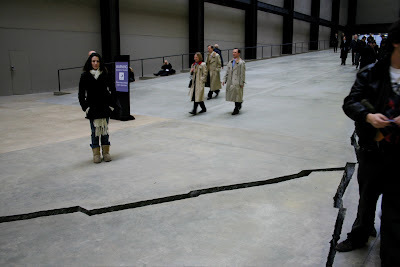 During our trip to the Tate Modern in London a couple weeks ago, not only was there a huge crack going the length of the entire ground floor, but also a group of people that I can only guess were along the lines of Scientologists. 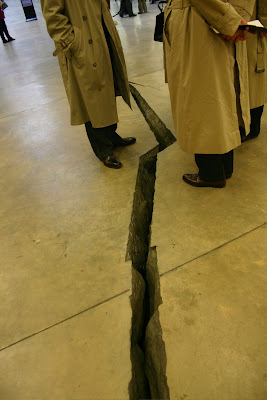 They should be scheduled for a regular appearance at the installation, it made the experience so much more surreal. Look out! 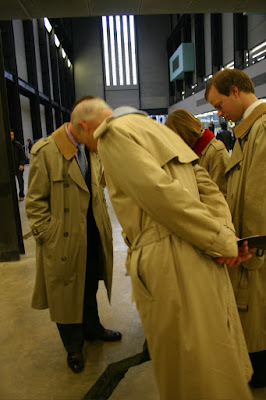 They’re behind you!